The defending ArenaBowl champion Arizona Rattlers will raise their league-best fifth championship banner when they open the season on Saturday at US Airways Center against the Spokane Shock. Last season the team drew its most fans since 2010, averaging 9,335 at home. Team officials say their wallet-friendly efforts are key to building on that growth in 2015. The Rattlers also stay engaged with the community. In December 2014, Shurts donated 110,000 cans of food to the KNIX Million Can Crusade, according to a team news release. The organization has also made donations to St. Vincent de Paul and the Salvation Army and participated in more than 100 community events throughout 2014. 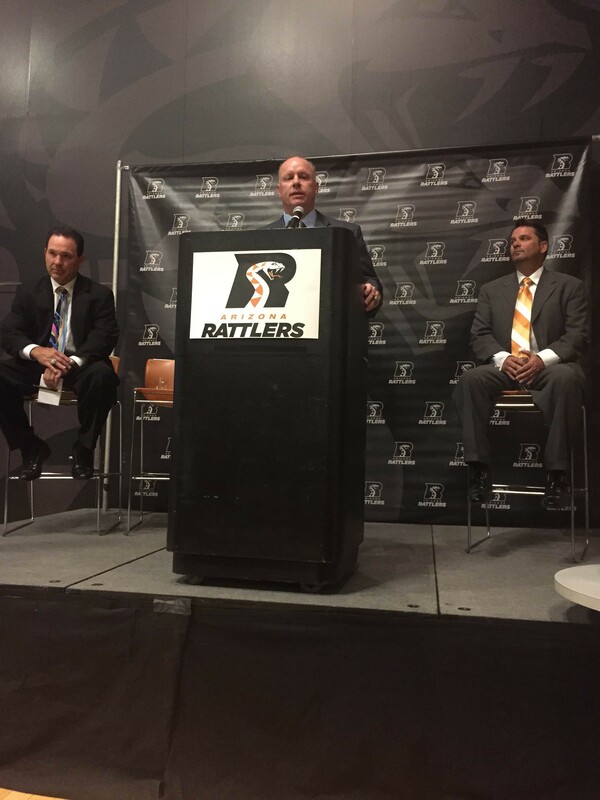 Presson said the Rattlers and the rest of the league are doing what they can to maximize the fan experience and help grow the sport. “We have some teams that are in rebuilding mode, and the league as a whole is looking to expand in the right markets, at the right time, in the right way,” Presson said. Over the last few years, the league has added franchises in Los Angeles, Las Vegas and Portland, following a down time in which the 2009 season was canceled in order to improve the league’s business plan. With more teams comes greater competition and parity. “I think all we can do is to continue the culture (head coach) Kevin (Guy) and Ron have established,” Presson said. To keep the winning culture going, head coach and general manager Kevin Guy is taking an unorthodox route in building the team’s roster. While most arena teams recruit players from within arena football, Guy is discovering treasures among other’s junk. “We recruit the guys who get cut from the NFL, but at the same time we have our own little game, but it’s still blocking, it’s still tackling, it’s still football,” Guy said. Wide receiver Rod Windsor is a product of Guy’s vision. Windsor was a member of the Rattlers during the NFL lockout in 2010 but left to play for the Cleveland Browns shortly after. Windsor was cut in 2012 and returned to Arizona. In 2013, Windsor posted 10 receptions for 145 yards in ArenaBowl XXVI, earning MVP honors. 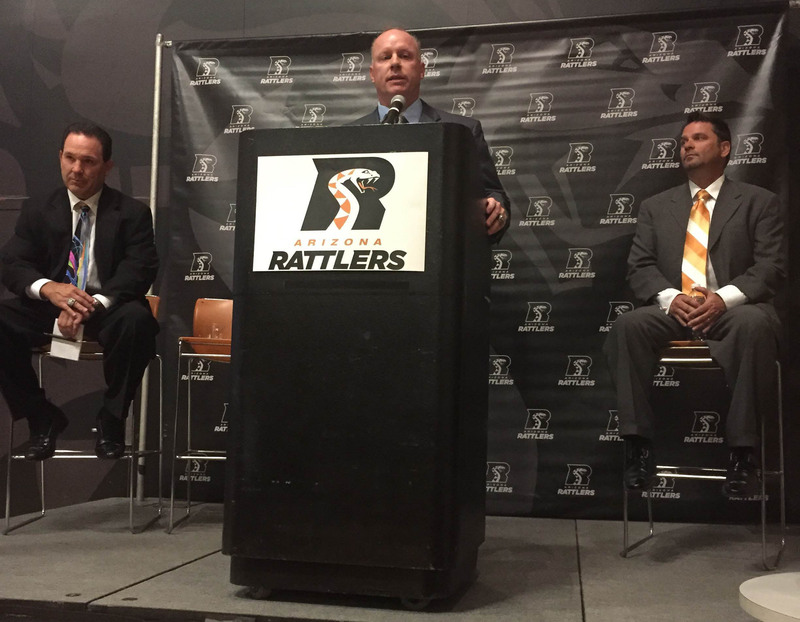 While a fourth straight title would be unprecedented in the AFL, the Rattlers say the pressure of the pursuit does not compare to the pressure the team faced before the title that began the streak in 2012. Last season, the Arizona Rattlers posted their best home attendance numbers since 2010 en route to their third consecutive ArenaBowl championship. The team begins its title defense on Saturday with an eye on continuing to grow its fan base.